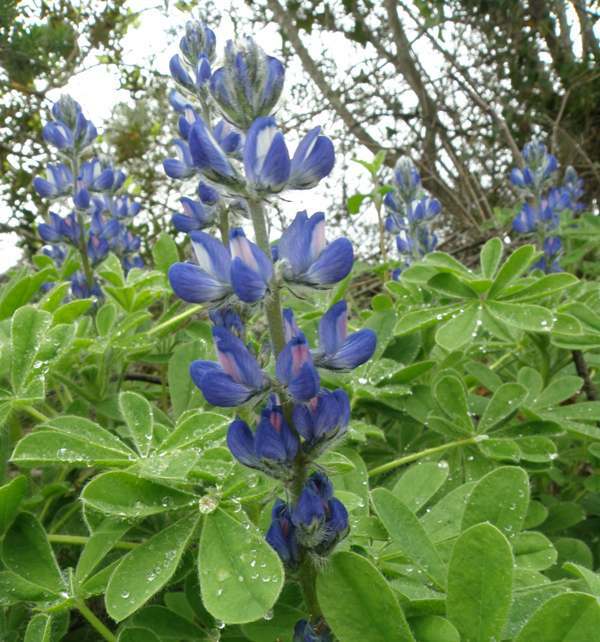 Also referred to as the small-flowered Lupin or Hairy Lupin, Lupinus micranthus is an annual growing to a height of 20-40cm. The growth form is variable, sometimes a single stem but often freely branching.The stems are covered with many short hairs and a few longer brownish ones. The compound leaves are palmate with 5-8 leaflets; individual leaflets and 1.5-3 cm long. The upper leaf surfaces are somewhat hairy while the lower surfaces are covered by many appressed hairs. This gregarious lupin often lines field margins and woodland edges; it sometimes paints fallow fields with vast swathes of brilliantt blue. 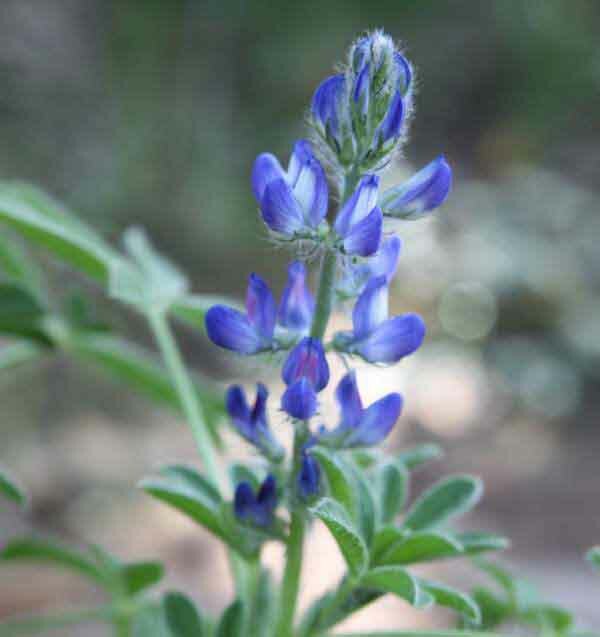 A member of the Pea Family, Fabacae, the Bitter Blue Lupin is common in the Mediterranean Region and parts of northern Africa, but can also be found parts of southern in France. 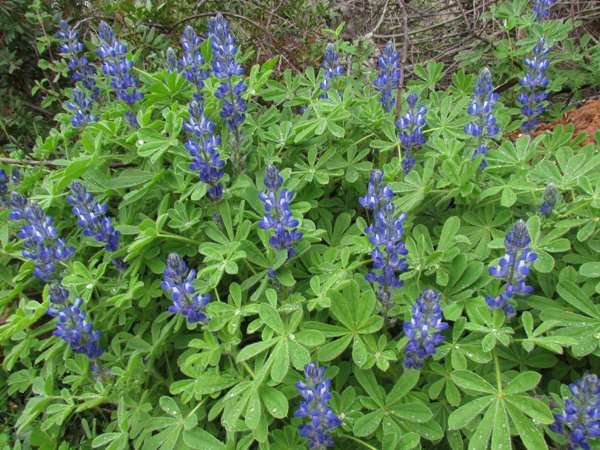 Depending on location, Bitter Blue Lupins can be seen in flower from March until June. The specimens shown on this page were growing in the Algarve region of southern Portugal, and the photographs were taken in late March and early April.